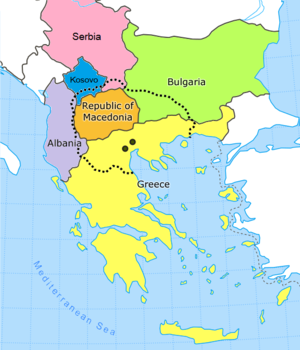 Macedonia became an independent country in 1991 when Yugoslavia, of which it had until then been a part, disintegrated. Ever since that time Greece has been loudly proclaiming its objections to the use of the name Macedonia because it is the same as one of Greece’s own historic regions (of which what is now called Macedonia was a part). There are strong feelings on both sides and the dispute has yet to be resolved. In antiquity Macedonia was a part of the Roman and Byzantine Empires. Alexander the Great launched his conquests from ancient Macedonia. 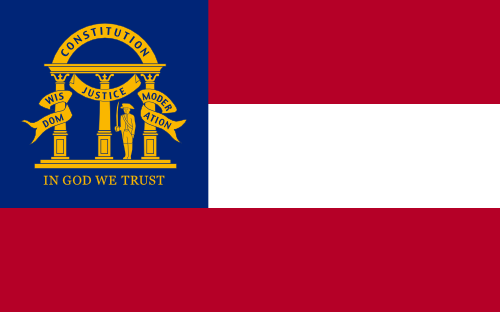 Georgia is a state of the United States, the last of the original 13 colonies, named after King George II of Britain. Georgia is also a country situated at the intersection of Europe and Asia and a former Soviet Republic. Its red and white flag features St. George’s cross. The capital is Tbilisi which used to be called Tiflis. Russia and all the other Slavic countries call it Gruzia. 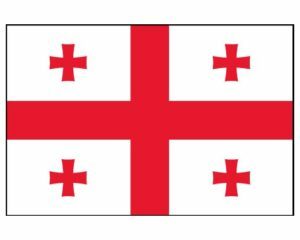 Georgians hate that name because it is associated with the times when Georgia was part of the Russian Empire. Georgia would like to stop other countries from calling it Gruzia. People sometimes confuse Slovenia and Slovakia, both middle European countries. Slovakia used to be married to Czechoslovakia, but they divorced amicably in the 1990s. Slovenia was another one of Yugoslavia’s component parts, which was cast adrift after Yugoslavia ceased to exist. It is not unusual for countries or cities to call themselves by one name while other countries call them by a different one, often one that they have discarded. Bombay became Mumbai, Peking is now Beijing. The French, however, continue to use the old names. This is not surprising. They also call Torino Turin. We refer to Firenze as Florence and what we call Venice is in fact Venetia. Old habits are hard to forego and sometimes we never bothered to learn the correct names anyway. Sudan means The Land of the Blacks (for obvious reasons). Ethiopia (erstwhile Abyssinia): The Land of Burned Faces. The Greeks called Spain: The Land of Many Rabbits and Burkina Faso means: The Land of Honest Men. Nigeria is not the Land of the black People as one might think but: The Land of the Most Beautiful People in the World. If you Google country names or some equivalent expression you can find many more fascinating ones. Editor’s note: We sincerely appreciate your comments and hope you will send some in….it makes the blog better! Parallel to the Macedonia situation is the name of Luxembourg. Luxembourg is the name of a country, and it is also the name of a province in Belgium that borders the country by the same name. As far as I know, no one is bothered about this as they are about Macedonia. also reminds me a lot of the conflict over the use of the word “Palestine” and if it’s a place or a country or who has the right to use it. So much emotion and conflict gets fraught up in the name of the thing. I didn’t realize the passion the Greeks still had for Macedonia.